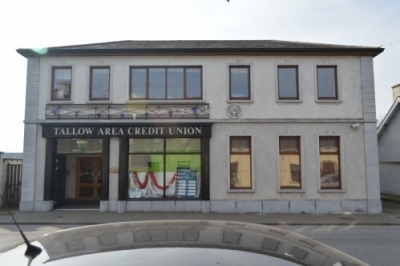 Tallow Area Credit Union - Tallow, Co. Waterford, Ireland. 10am - 4pm Wednesday and Saturday. Tallow Area Credit Union was established in 1968. Our original premises were on West Street. We moved to a new all-purpose building on Convent Street in 2003 to meet the needs of the Community and Members into the future. We take in savings in the form of shares and lend to our Members for many purposes. We provide other services such as foreign exchange, electronic funds transfer, bill pay facilities, ATM cards and Savings Stamps. These services are mainly provided free of charge. We also provide Life Savings insurance up to €7,700, Loan Protection insurance and Death Benefit Insurance of €1,300 subject to terms and conditions at no cost to our members. Our common bond covers the parishes of Ballyduff, Conna, Knockanore, Tallow and part of Castlelyons. We serve members who live in these parishes and members who previously lived in these parishes and who have maintained accounts set up when they lived inside the common bond.